It's my favorite time of the year! 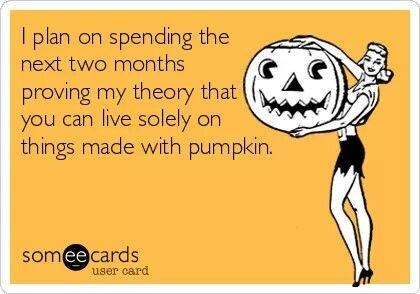 Pumpkin Everything! Whoo! 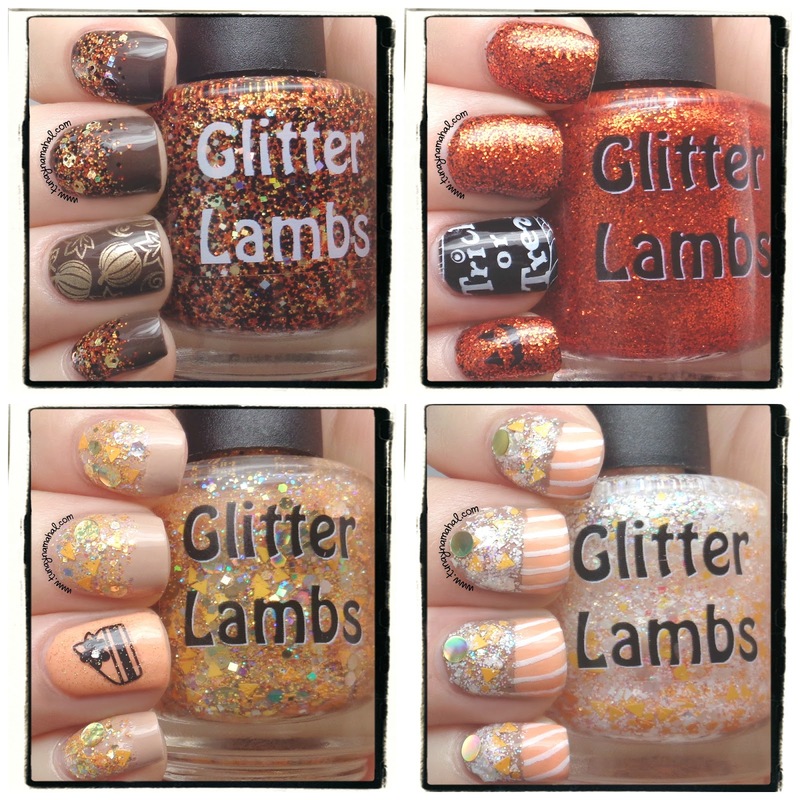 And Glitter Lambs has an awesome Pumpkin Fall Collection out right now. Four sparkly glitter bombs: Pumpkin Spice, Pumpkin Bread, Pumpkin Pie, Pumpkin Cupcake. Pumpkin Bread: A clear base filled with black hex, orange hex, gold hex and black dots. 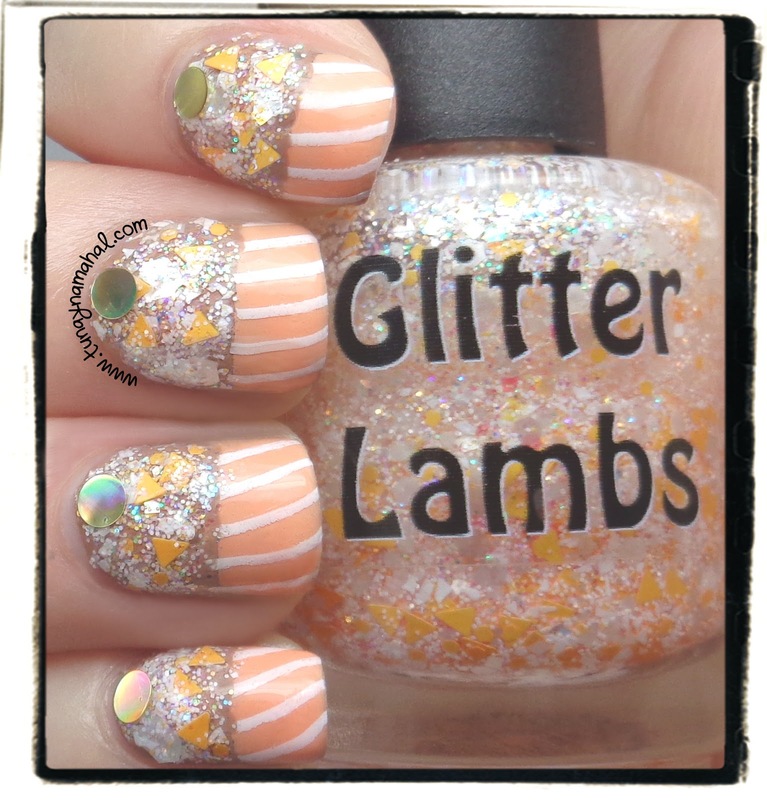 I started with two coats of Zoya Emilia, then I did a glitter gradient with Pumpkin Bread. (First I dabbed with a sponge, and then I dabbed with the brush). 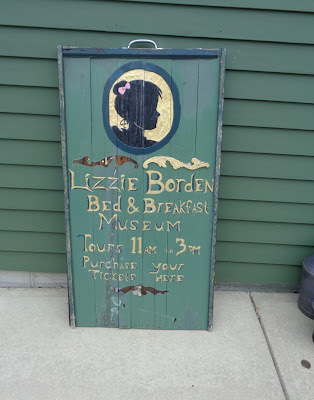 I stamped with Maybelline Bold Gold, and Bundle Monster Plate: BM-H11. 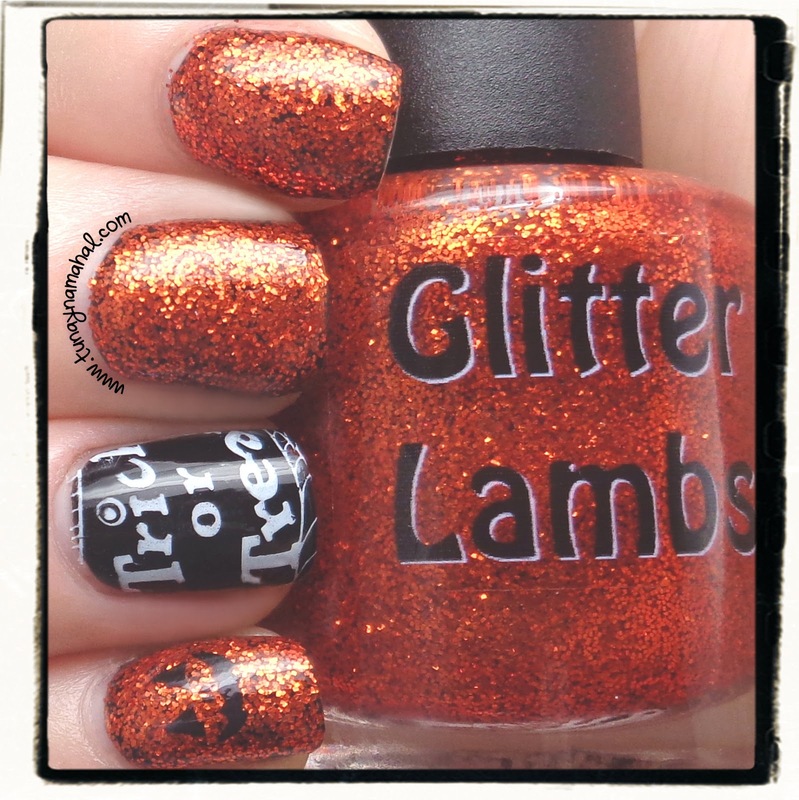 Pumpkin Spice: is filled with hex orange colored glitter. I started with two coats of Dance Legend 315 (Black), And 2 coats of Pumpkin Spice. This is super glitter dense, and I love it! I stamped with Konad White on my Index Finger and Bundle Monster: BM-H07. On my Pinky is Konad Black & Winstonia: W221. 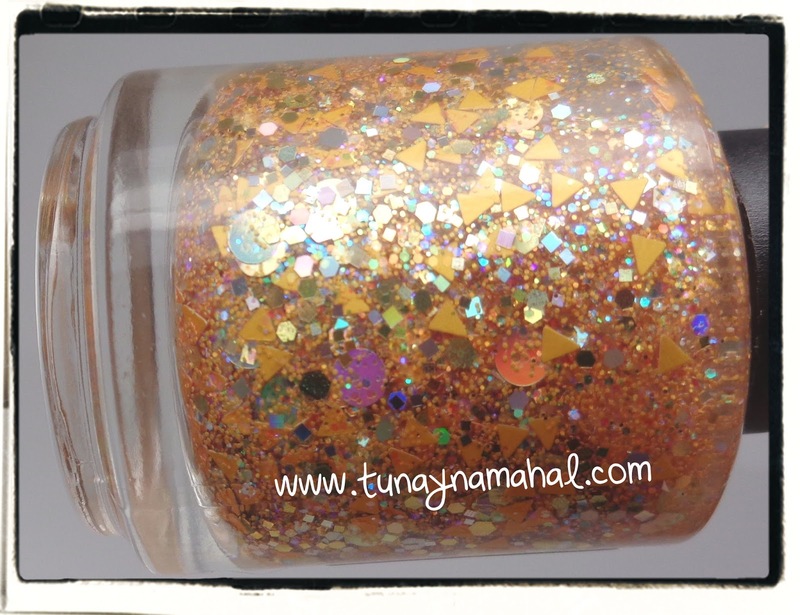 Pumpkin Pie: is a clear base filled with large holographic gold dots, orange triangles, small gold glitter hex & square mix, tiny orange hex, and holographic hex. I did another glitter gradient effect for these nails. (First I dabbed with a sponge, and then I dabbed with the brush). My Base is 2 coats of Zoya Taylor, my accent nail is Zoya Cole. The sticker is from the Born Pretty Store: (MZ-P24). I used China Glaze Golden Enchantment over the accent nail. Pumpkin Cupcake: is a clear base filled with white hex in diff sizes, orange triangles, tiny orange hex, rainbow holographic hex. I started with 2 coats of Zoya Spencer , my nail tips are Zoya Cole. I decided I wanted to make my nails look like cupcakes! The stripes are from Messy Mansion plate: MM06. 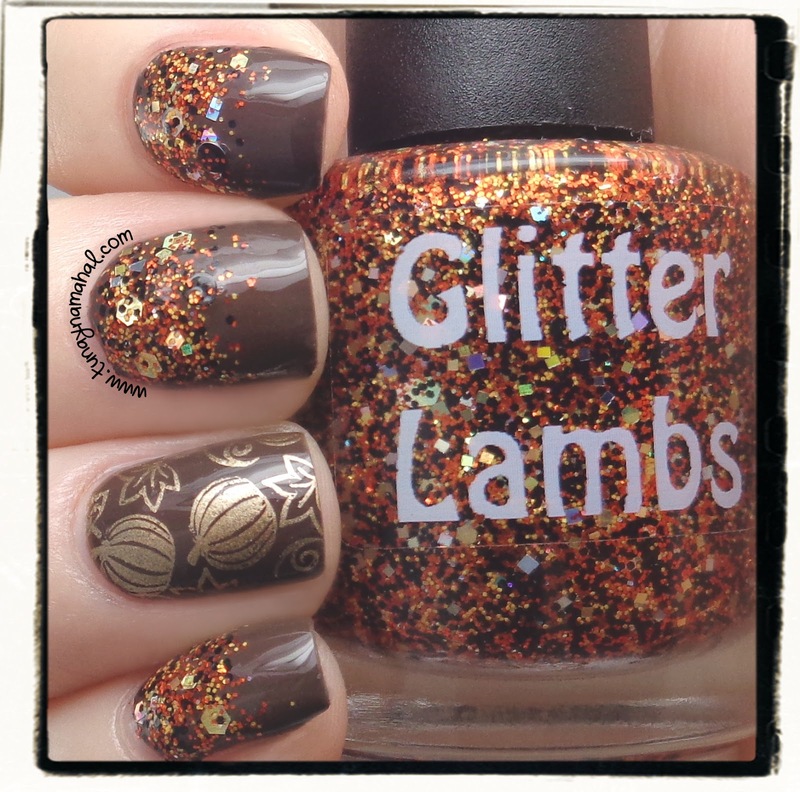 The little golden holo circles are from Glitter Lambs, Pumpkin Pie. 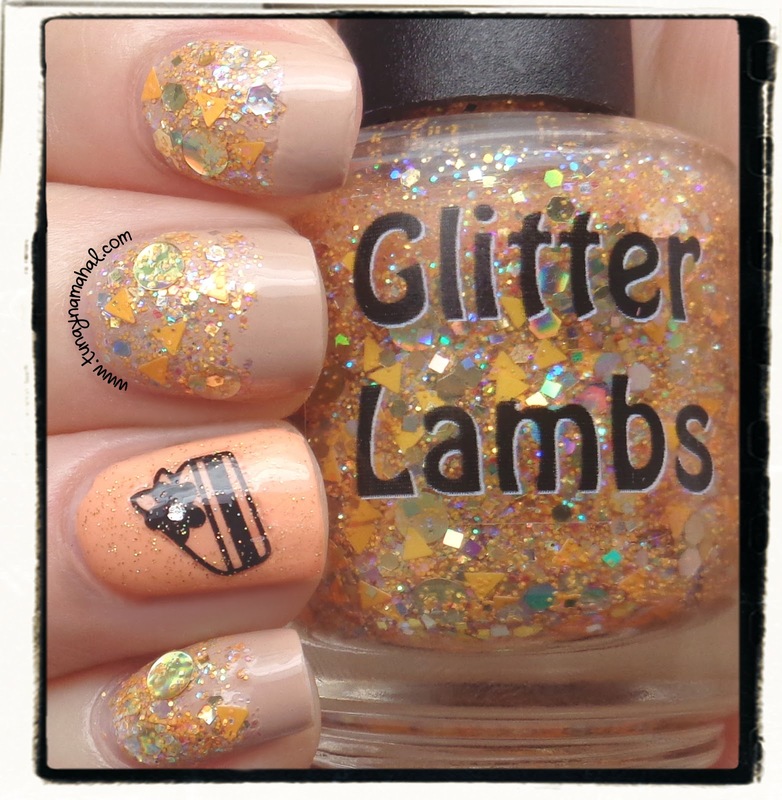 You can also follow Glitterlambs on Facebook & Instagram. *All swatches below have Seche Vite topcoat.